The kitchen is the common area in many households. Whether you’re a chef a not, friends and family always seem to migrate to the kitchen to enjoy drinks, foods or laughter. With your kitchen one of the main areas in your home where you and your family and friends congregate the most, many individuals confidently agree that the kitchen is likely the center of your entire household. Entertaining guests, eating a family meal and cooking a glorious dinner are at the top of our list, but there are more. 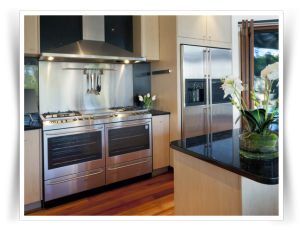 With your kitchen being the area everyone gathers, it’s with high importance you take note on how your appliances are operating. If you entertain guests and your family regularly, a refrigerator that’s on the fritz simply won’t do. Inconsistent temperatures. We’ve all been there; you know, taking out fresh fruits and vegetables to cook for dinner to find they are covered in icicles or getting all the condiments needed to make a delicious salad only to learn the salad dressing is somewhat warmer than you’d anticipated. Inconsistent temperatures in your refrigerator point to a problem. If you’re experiencing freezing foods or foods that are too warm, it’s time you give our fridge repair experts in Pepper Pike a call. Energy. In this day and age, your refrigerator shouldn’t be causing a spike in your energy bill. With the average lifespan of a fridge being 13 to 15 years, it is only after this length in time your fridge should start to slowly deteriorate in efficiency, leaving you with a noticeably larger energy bill. So, if you’ve noticed that your energy bill has slowly been increasing over the past few months, it may be time to take a look at your kitchen appliances. Which ones are old? Which ones do you think are causing that increased energy expenditure? To learn if it’s your refrigerator that needs to be replaced or repaired, give Pepper Pike’s leading appliance service technicians a call. Disturbing compressor. Trying to enjoy a nice, quiet evening in your kitchen with family and friends shouldn’t come with an annoying steady hum to it. 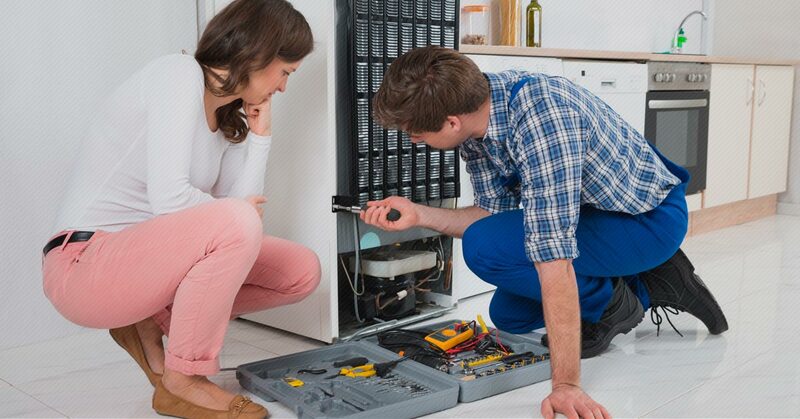 If your refrigerator is making strange noises, it may be time to give our fridge repair experts a call. A faulty compressor may be to blame and with the help from our experts, we may be able to put a stop to it all. Whether a repair or replacement is needed, our technicians can help you solve all of the disturbing sounds coming from your refrigerator. If you think you’re in the market for refrigerator repair from our expert appliance technicians in Pepper Pike, it’s time you give us a call. We can help you get down to the bottom of inconsistent temperatures, high energy expenditure and a disturbing compressor. Join our incredible staff online today to schedule, or give us a call. 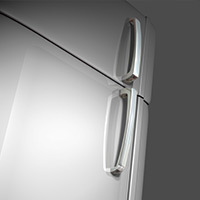 We are happy to answer any questions or concerns you may have regarding your refrigerator or other kitchen appliances.